I always see the same thing over and over. Good intelligent people struggling to get ahead. They think that because they are good and hard working, the world has to open the doors to all opportunities and because it doesn't work that way, they get frustrated and depressed. Focusing myopically on the problem solely has never solved anything. The best way I can describe it, would be to say that you are so close to the thing that is making you miserable, that your eyes are playing tricks on you. The problem, the thing that frustrates you so much, makes sure you don't look up for any type of perspective. I've told many people I've trained over the years that we must all learn to turn around, put things upside down and learn to analyse things as if we are acting against our instinct, at least for a second. Because more often than not, the solution is found only when we are crazy enough to look outside the box, outside everything we call normal. How many times have you been consumed by a worrying thought, only to find the answer when you stop thinking about it? I can say that it has happened for me thousands of times, more times that I could ever remember. But I think there is something very valuable to learn from those occurrences. Why would it work like this? Why is our mind more likely to find a solution when we have stopped looking for one? Maybe subconsciously we are using this very mechanism, we are thinking outside the box, we are less focused on the problem itself, so we allow for the solution to manifest. It could seem like luck, like we are stumbling on the solutions, but are we? I seriously don't think that is the case at all. I think this is why its important to learn to step back and rethink how we are engaging our life's problems. Are we worried because we are worried? Are we failing to see we are making things worse? Simple but complicated questions every single person struggles with in one way or another. Over the centuries many philosophers have talked about this very thing using their own framework of understanding. 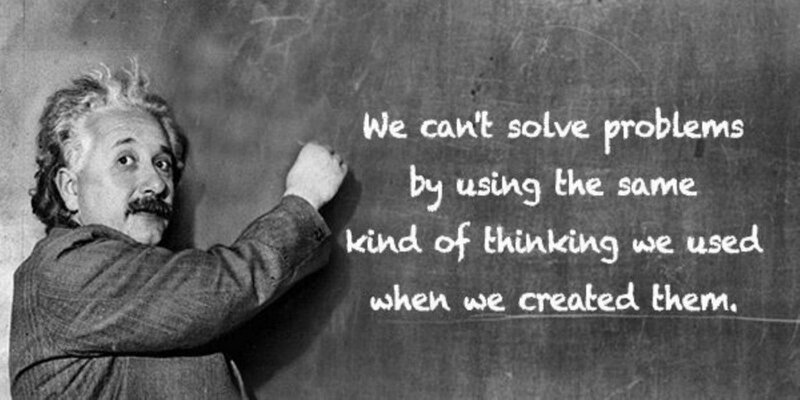 In my view, solution solving is part of the human experience and no doubt a guiding force for our lives. What I mean by that is that we need to face them, we need to learn from them and in that sense, they are not problems only, but also learning opportunities. When it comes to Entrepreneurship this lesson is very important. Because on this there is absolutely no exception. Everyone who has ever started a business, or built a project from the ground up, needs to learn to deal with problems with a mind ready to be open to finding solutions outside their comfort zone. Another word that comes to mind when I'm explaining this to someone I'm mentoring is flexibility. If anyone who wants to grow is not willing to be flexible, to step outside of what they think normal, they might not be able to ever be successful Entrepreneurs and problem solvers. Now something that can't be missing from this topic is this: Can all problems be solved? - I happen to stand on the side of those who think that mostly yes. The only thing that doesn't have a solution is death itself and even this might not be always the case. This really resonates with me, because I certainly feel that it has been the case in my life. Have you not looked back at a younger version of you and wonder how some of the problems you had were so simple, almost to the point that you don't know why you ever worried? This certainly has been the case for me and I'm sure many others too. "The Solution is always on the opposite side of the problem, if you keep looking at the problem side you will never find the solution because it will be found on the opposite side to where you are looking. Turn around and you will begin to solve your problem in a few days because your mind will magically be programmed to the solution.It's as if the problem was to the south and the solution in the north "
Which side do you want to look at? Believe what I am saying, and you will start to change your life. I say that very sure of my words! !